BigCityLib Strikes Back: Victims Of The War On Xmas? They fell from the sky! No, it was a drive-by. 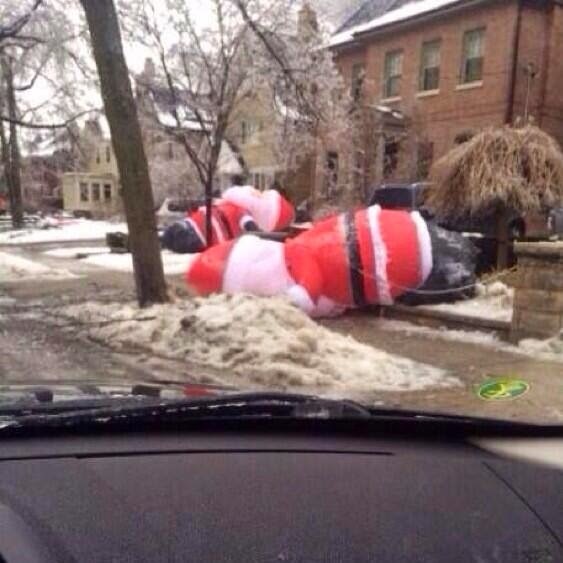 drunk or dead santas, littering the snowy landscape.